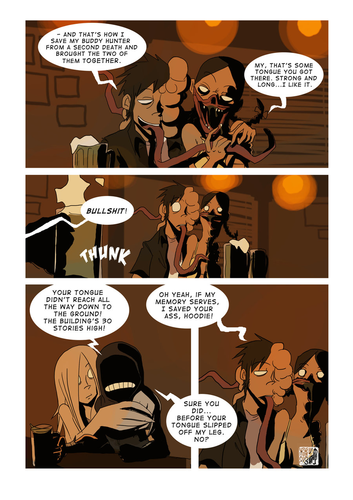 Smoker and Hunter comic (link). This is a cool comic, I've only uploaded one of the pages. The artist's awesome too - to see his page and the full comics: takeru-san.deviantart.com. HD Wallpaper and background images in the Left 4 Dead 2 club tagged: left 4 dead 2 hunter smoker witch spitter takeru-san.